Save yourself from MS Exchange cost and complexity. Get all the messaging features you need in the cloud - business email, Outlook sync, mobile access and more. HyperOffice continues to be the preferred choice for a Microsoft Exchange alternative. Our easy to use, affordable hosting solution provides you with the features you need to conduct business with a convenient, secure, and flexible environment that requires no IT maintenance. And best of all, you can keep using Outlook and share Outlook calendars, contacts, email, tasks, documents, and more without needing Microsoft Exchange. Compare HyperOffice to Microsoft Exchange with a Total Cost of Ownership analysis. Challenges: Why Do you Need an Alternative to Exchange Server? The features that Microsoft Exchange brings companies are indeed great, if not essential. But the thousands of dollars it takes to set up and maintain an Exchange Serve, takes it out of the reach of most small to medium companies. Here are some reasons why you need an alternative. The need to share & synchronize Outlook and share calendars, documents, contacts without installing, maintaining and supporting Microsoft Exchange. The need for a hosted collaboration and communication infrastructure-accessible anytime, anywhere and from any computer. The need for a low cost hosted Exchange alternative without a large upfront financial commitment and ongoing maintenance costs. The need to predict and control costs as operations scale up or down without any anxiety over Microsoft Exchangeupgrade cycles, outdated servers, or expensive IT consultants. 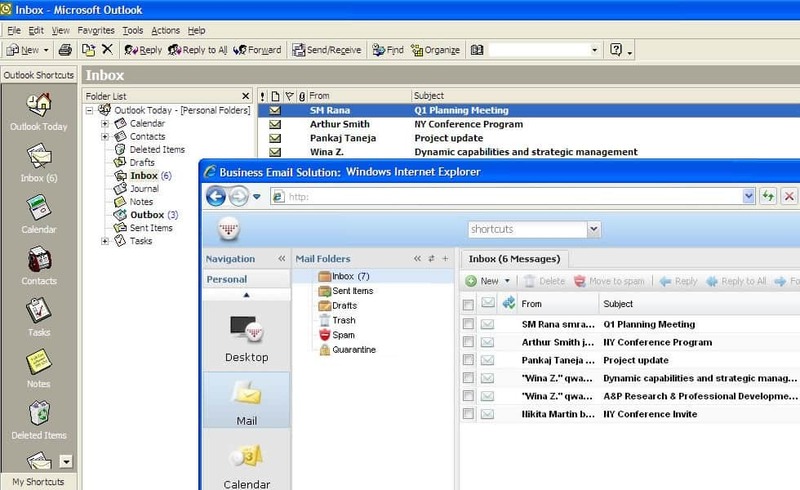 HyperOffice acts as a backend for Microsoft Outlook, the favored productivity tool of workers. 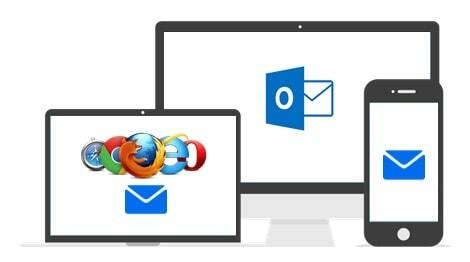 It takes minutes to set up HyperOffice, and you can almost instantly start using full powered Outlook. Use HyperOffice as a low-cost, no maintenance Exchange server hosting alternative. Continue to use Outlook with the ability to share Outlook calendars, contacts, and tasks without expensive servers. Set up business email with unlimited aliases. 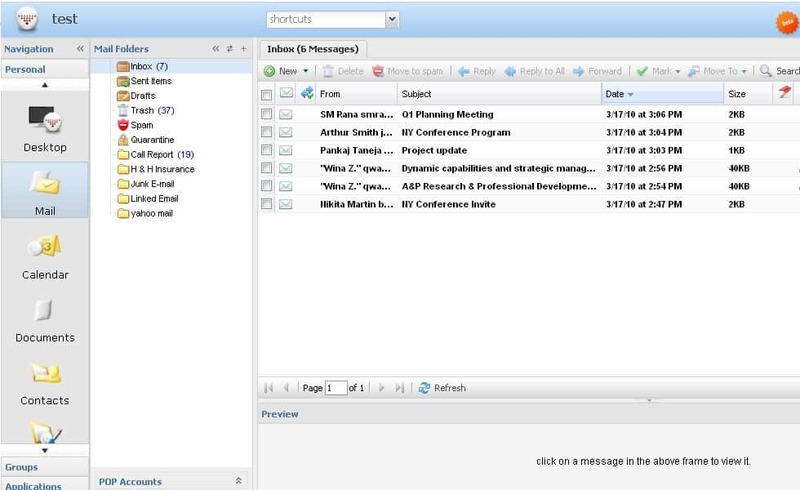 Enable web mail access on any internet connected PC or Mac, and mobile mail access on any mobile device. Push and synch email, contacts and calendars to almost every major mobile device in the market including iPhone, BlackBerry, Windows Mobile, many Android and Nokia phones, and more. Industry class spam and virus protectionensure that only legitimate mails enter your inbox. Frequent backups of your important information keep you secure in case of emergencies. Get fully integrated collaboration features for no extra cost that even Exchange doesnt offer you – intranet and extranet workspaces, document management, forums, polls and more. Get all the benefits of enterprise class document management software designed for the needs and budget of your growing business. No document management servers or software. It is all online. Just sign up. Pay as per a predictable per user per month cost structure. Add users as you grow. It is completely cloud based. No months long implementation. Just sign up online, and you’re all set! Anybody with basic internet smarts can use HyperOffice.